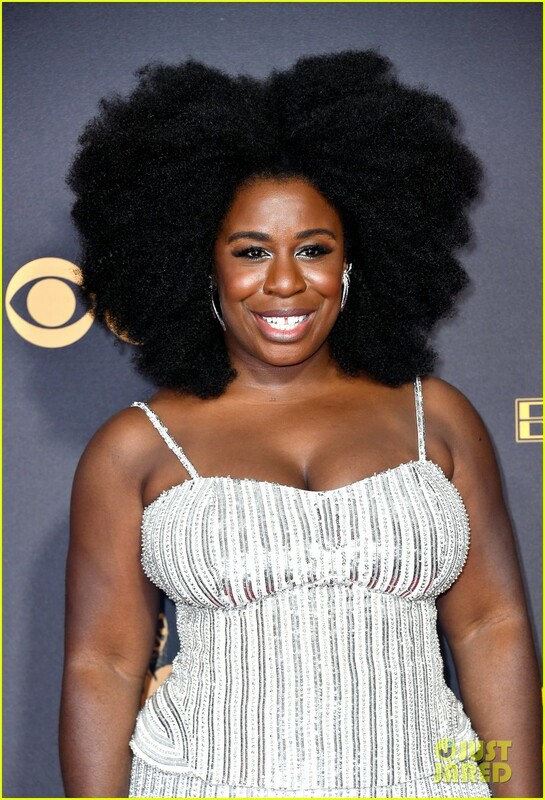 Uzo’s gorgeous hair is nothing short of magnificent. The generous wealth of natural curls is as big and as grand as her iconic grin. Symmetrically arranged in a heart-shaped coiffure, with the ends rounded in broad brushstrokes, Ms. Aduba’s hair is like a dazzling painting that uses every colour. And we love every detail of these midnight-black micro-curls. Although her do reminds us of the glittery disco years, Uzo’s flair is all her, and it’s something new. Keep coming back to Black Hair Spot to check out your favorite celebrity do’s and dont’s!